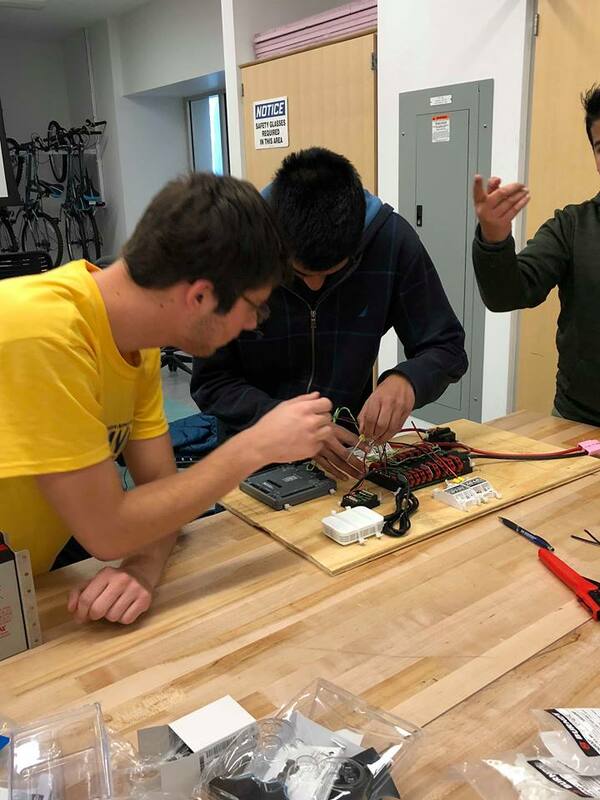 The Robot Quick Build (RQB) is an event held in early January, usually the day after our FRC Kickoff event. 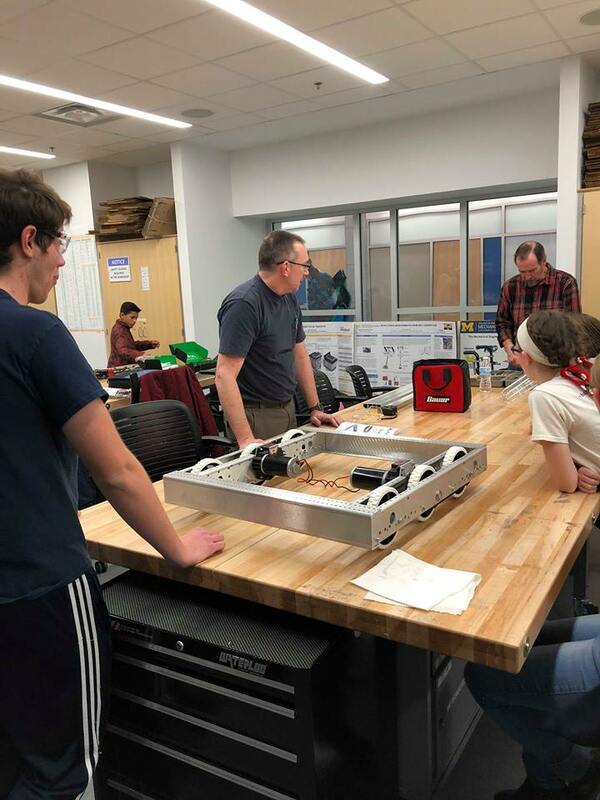 Teams work with FAMNM members to jumpstart their FRC season by getting a working drivetrain on the first day of build season! FAMNM offers assistance in mechanical, electrical, programming, and game strategy. Check out some highlights from this year's RQB below! One team finishes the construction of their KOP chassis. 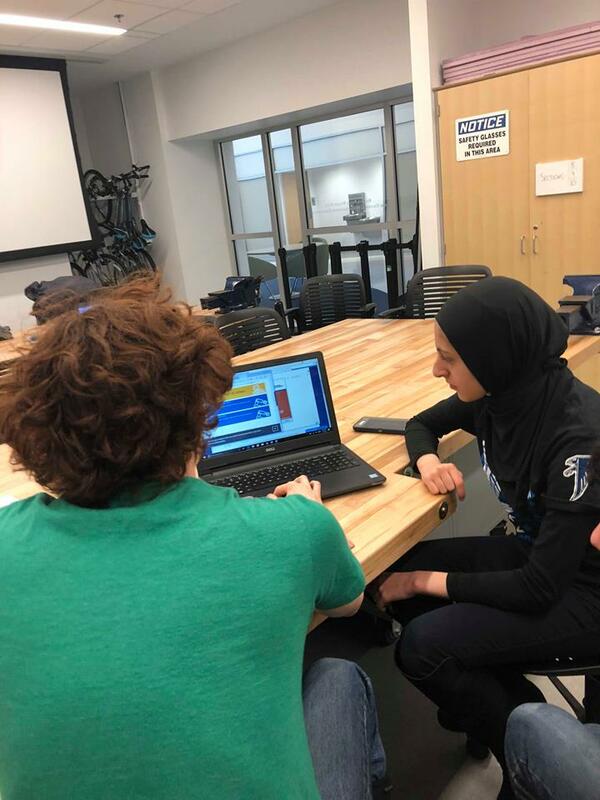 A FAMNM member helps one team get started with coding their robot. No RQB robot is complete without an electrical board!